Can foot creams help with plantar fasciitis? When suffering from an inflammatory condition, such as plantar fasciitis, it is only normal you should be interested in treatment options that bring the necessary relief from the symptoms experienced. Today’s treatment options available for those who suffer from plantar fasciitis include home remedies, physical therapy, medication and surgical interventions. Topical remedies are also recommended, with foot creams standing at the top of the recommendation list. But are these actually effective? Can foot creams help with plantar fasciitis? Topical treatments are often recommended for the symptoms of plantar fasciitis, as they have fewer side-effects than oral medication and the relief from the pain appears faster. While the regular foot cream does not work on the symptoms experienced, there are creams that contain active ingredients with anti-inflammatory and pain-relieving properties. For example, one can use a cream that contains NSAIDs as active ingredients (topical application). As it was already mentioned above, topical agents are more helpful than oral medication. This is because they are immediately absorbed at the level of the skin, as opposed to oral medication, which has to be absorbed into the bloodstream first. The creams that are recommended for plantar fasciitis have analgesic properties, being able to provide relief from both the pain and inflammation experienced. Sometimes, they also have anesthetic properties, numbing the area of pain or discomfort. Another advantage of these topical creams is the reduced number of side-effects. Moreover, once the condition improves, the patient can seek out other treatments, such as physical exercise or manual therapy. How efficient are these topical creams with regard to plantar fasciitis? The first and most important thing that you have to remember is that no cream can penetrate that deep, so as to reach the plantar fascia. So, at its best, a topical agent will only have a superficial and temporary effect. Depending on the ingredients used for the topical cream, you might be able to experience relief from the symptoms experienced. It is advisable to follow the recommendations for application, massaging the cream into the area of discomfort and/or pain. One should also pay attention to the ingredients contained in the cream; natural ingredients can bring relief from pain and inflammation, without any additional risks. However, it is also possible that certain ingredients will either induce a sensation of heat or cold. Given such potential reactions, it is always for the best to test the cream in question on a small surface of the skin (patch test). If you like to eat hot peppers, then you are probably aware that the substance responsible for the intense heat is capsaicin. Interestingly enough, capsaicin is also known for its anti-inflammatory and pain relieving properties. When applied at the level of the skin, capsaicin can cause a slight burning sensation. For this reason, it is recommended to avoid touching your eyes or any mucous membranes after you have used such creams. Otherwise, you might experience a severe burning sensation and require medical treatment. Capsaicin cream has made the subject of numerous studies, being often appreciated for its beneficial properties. According to a study published in Phytotherapy Research, capsaicin cream can be effectively used for the treatment of chronic soft tissue pain, improving the symptoms experienced in a significant manner. In another study, which was published in the Journal of Pain Research, capsaicin cream is presented as a highly-efficient topical preparation for pain relief. The analgesic and anti-inflammatory properties of capsaicin have been highlighted in a comparative study, which was published in African Health Sciences. Can you just use any cream? The answer is clearly no. In many situations, foot creams are only meant to hydrate and nourish the skin, without any additional effects on the symptoms experienced by a plantar fasciitis patient. 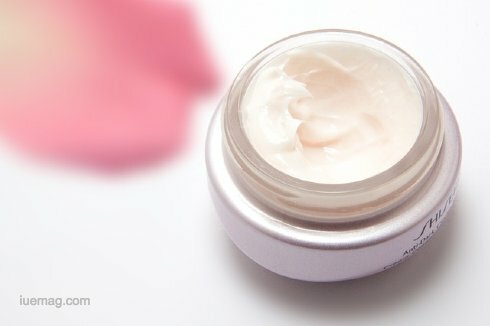 One should always on the lookout for a cream that contains active ingredients, capable of providing relief from pain, inflammation and other symptoms. The fact that not all topical creams are efficient on plantar fasciitis symptoms has been confirmed by a study published in Complementary Therapies in Medicine. The study was meant to determine the effect of topical wheatgrass cream on the symptoms of chronic plantar fasciitis. The authors intended to determine whether topical wheatgrass cream was capable of providing the desired pain relief, as well as improving the overall foot function. For the study in question, participants were divided into two groups, meaning the treatment group and the placebo group. The first group received the topical wheatgrass cream, while the second was administered a placebo preparation. The cream was administered two times per day, for a period of six weeks. The participants to the study were assessed with regard to the daily first-step pain and overall foot function (specific scales were used). Other assessments were made with regard to the posture of the foot, the strength of the calf muscles and the ankle dorsiflexion range. The study demonstrated that the topical wheatgrass cream was no more effective than the placebo preparation; basically, there were no significant differences between the two groups. Foot creams can be used to moderately improve the symptoms of plantar fasciitis but these must contain active ingredients, which can bring the necessary relief from the pain and inflammation experienced. It is also essential to understand that not all topical creams are effective on the symptoms of plantar fasciitis, even though they might be advertised as such. If you are interested in topical treatments, it is for the best to ask your doctor about the foot creams that you can use. Remember that these topical treatments only work at a superficial level and they provide temporary relief from the symptoms experienced. They can help you, though, to begin your physical therapy sessions or give manual therapy a try. When using a topical cream for the first time, make sure to read the label and check out the ingredients. If you have sensitive skin, it is for the best to do a patch test first; if no redness or irritation occur, you can then apply the cream to a larger area. Any facts, figures or references stated here are made by the author & don't reflect the endorsement of iU at all times unless otherwise drafted by official staff at iU. This article was first published here on 24th July 2017.